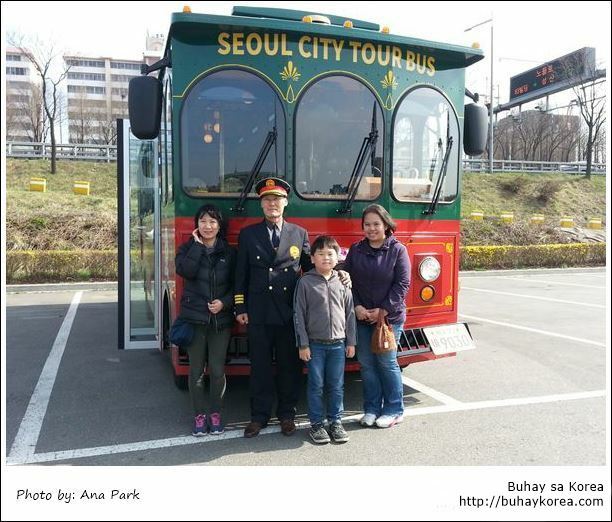 It was fun being one of the first passengers of the Seoul trolley-styled city tour buses. 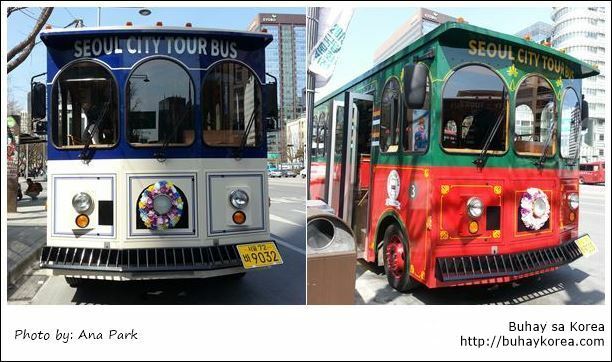 On April 1, Seoul City Tour bus celebrated their 15th year by introducing three new buses designed like trolleys but runs on gasoline. The exterior is decorated with paintings of Korea’s national flower ~ the Rose of Sharon. The interior is wood including the seats that looked more like benches with foam padding for comfort. There is a tour guide equipment at every seat that is available in Korean, English, Japanese and Chinese. I barely used it since the live tour guide is more interesting. She told us things about the places we passed by that I didn’t even know about. And I thought I knew everything after living in Seoul for 12 years! 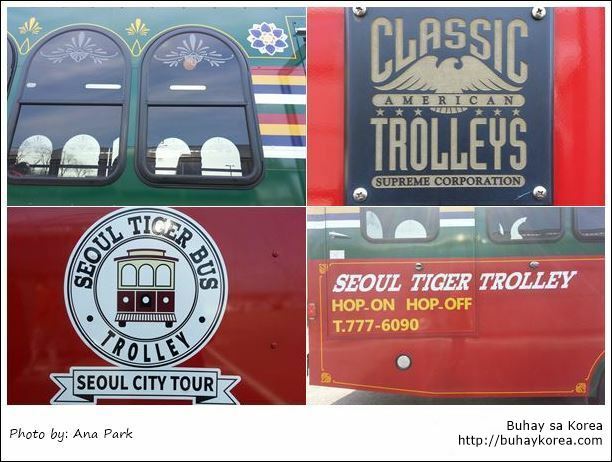 The trolley buses run the Seoul Panaroma Route, along with the double decker buses. The route starts at Gwanghwamun with stops at Cheonggye Plaza, Myeongdong, Seoul Animation Center, Namsan Cable Car, Hilton Hotel, Namsan Public Library, Hyatt Hotel, 63 City, Hangang River Cruise, Hongik University, Airport Railroad, Sinchon Station and lastly at the Sejong Center for the Performing Arts. It took less than two hours. We had a 20-minute break at the Hangang Banpo Park where we indulged ourselves with selfies. We had a souvenir photo with the driver. 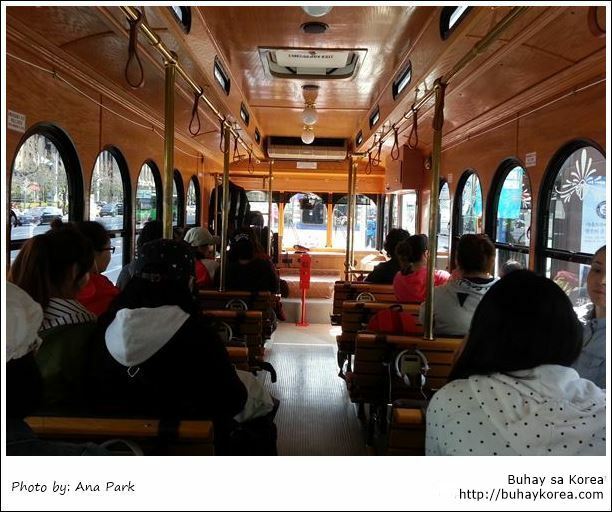 Riding the trolley-like bus was fun ~ especially with the attention the bus got from pedestrians and bystanders. 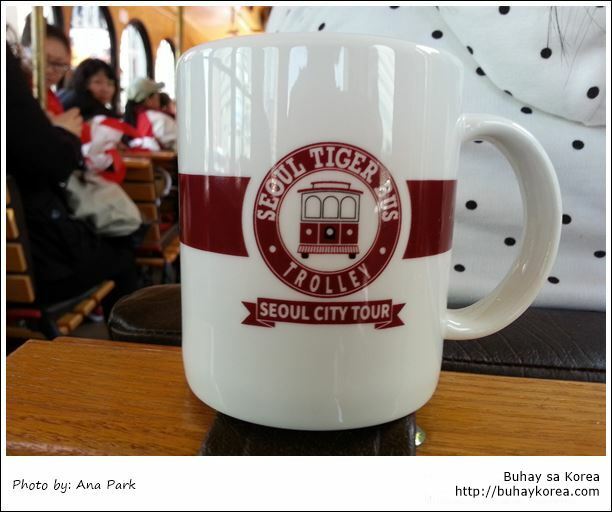 Thanks to the Dongdaemun-gu Multicultural Center for the invitation ~ we get to ride for free and take home mugs, too.